Winden Jangen ADLaM: - What is ADLaM? ADLaM is the name of Fulfulde script that originated in the southern city of Guinea called N'Zerekore. It is in this city, that in 1989 Abdoulaye and Ibrahima created the 28 signs that make up the Pular or Fulfulde alphabet called ADLaM. In those days, the Fulbhe who lived outside of their villages or towns were only able to communicate with their relatives or parents through letters carried by travelers. These letters were written in Pular using the Arabic script that the Fulbhe have used since embracing Islam. However, because of the lack of standardization, people were free to write as they wanted. Therefore reading these letters could sometime be a very challenging exercise. In most cases reading turned into a guessing game since the Arabic alphabet did not contain all the Pular or Fulfulde sounds and some of the sounds for the letters used did not exist in Pular. My brother and I were in the habit of reading the letters that were sent to my Dad after he had finished reading them. Therefore we experienced firsthand the challenges of reading these letters that we found amusing at the end. We got so good at reading them or more like guessing them that my Dad finally preferred to hand me or my brother the letters to read to him. It was in this context that one day we asked our Dad if the Fulbhe had their own alphabet and he responded no. On that day we promised him that we will invent our Alphabet to make reading letters and communication much easier between the Fulbhe. It is from then that my brother and I started working on this alphabet. Every day after school we would hide in our room to form the letters using pencils and papers from our notebooks. A few weeks later, we had 27 letters that allowed us to write most Pular words. We chose to write from right to left because of how important this is in the Fulbhe culture which is heavily influenced by the Islamic and Arabic culture. However, instead of diacritical marks as in Arabic we chose to have consonants and vowels as in French or English. Today we have 28 letters including 5 vowels and we can write every word in Pular or Fulfulde and most Western African languages. 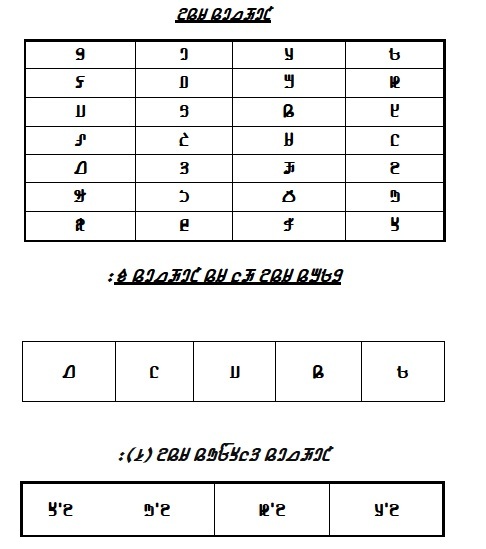 The ADLaM alphabet has become a cultural phenomenon in Guinea and many West African countries where it serves the purpose of educating and informing people. The alphabet is also viewed as a source of pride for the Fulbhe and Afro centrist and as an important tool for the preservation of the Pular or Fulfulde language and heritage as it faces growing challenges from French and English.